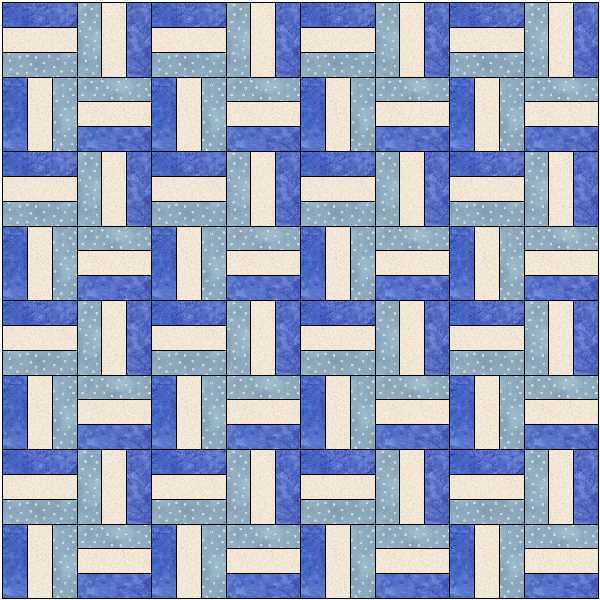 Another simple block to make is Basketweave. 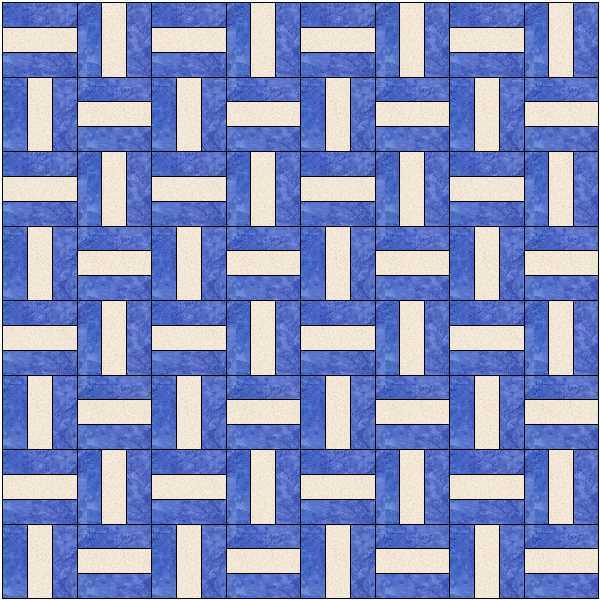 This is closely related to the 9-patch block as it is cut from sets of three strips. 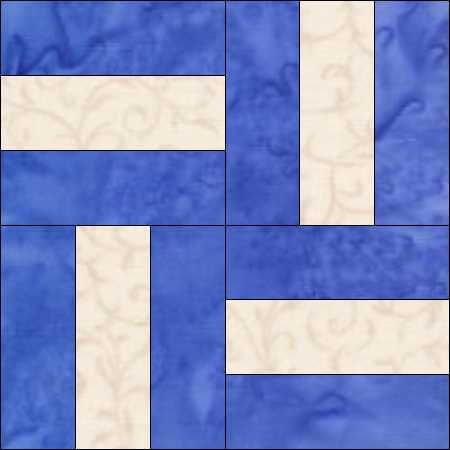 You can download the instructions to make the block here – they include a few quilt ideas as well. This is the original block colouring set 4 blocks by 4. Windmills in different shades of blue, and the woven effect has gone. The woven effect is back again. There are more ideas in the pdf pattern. 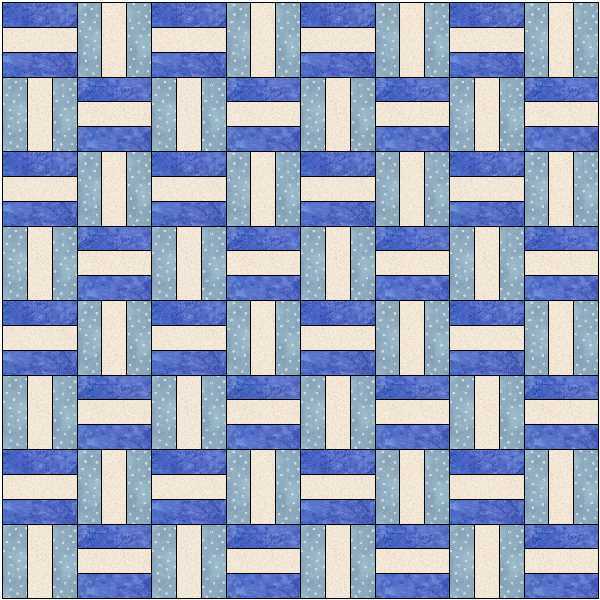 This entry was posted in beginners patchwork, colour play, free pattern, machine piecing, rotary cutting and tagged quilt blocks, simple patchwork on September 8, 2014 by Chris.